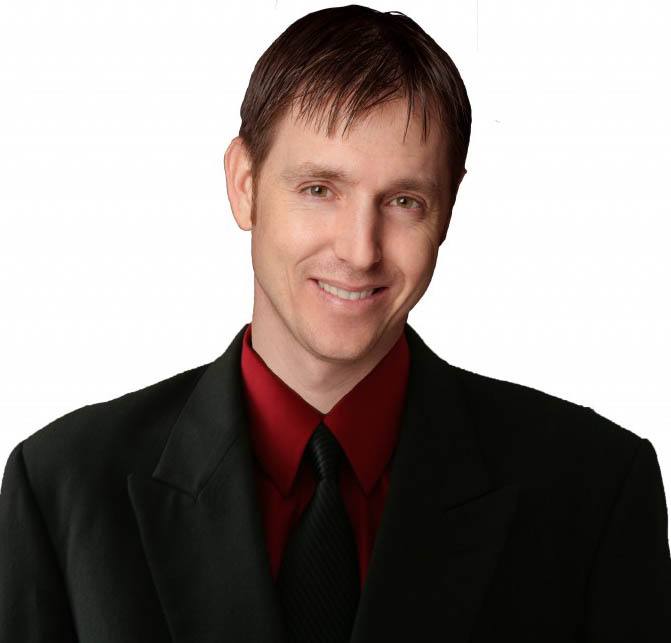 How do we know that the information we glean from the internet or hear from the media is actually true? In this week’s boralogue, John looks at language and how it can be manipulated to fit a narrative, examining the historical and Biblical evidence of how language is used. Things we had been told before have now flip-flopped to their opposites. As hypocrisy abounds, the ultimate battle will be over the truth. Understanding how and on what values our country was founded is paramount in correctly interpreting our history. Jake MacAulay (www.theamericanview.com), Chief Executive Officer of the Institution on the Constitution, details the rights afforded us under both the Declaration and the Constitution, the source of those rights, and the need better education our youth to their importance. When did education shift from a traditional curriculum to a more progressive one? Steve Abrams (www.cottonwoodanimalclinic.com), former member of the Kansas State Board of Education, discusses how education has changed over the years and offers solutions on how to think outside the progressive box and reach children with the truth. John finishes up the program this week dissecting an audio clip from a disciplinary hearing on a Canadian college campus. A student was told she violated the human rights of her fellow classmates, but in the end, it was her rights that were trampled on. 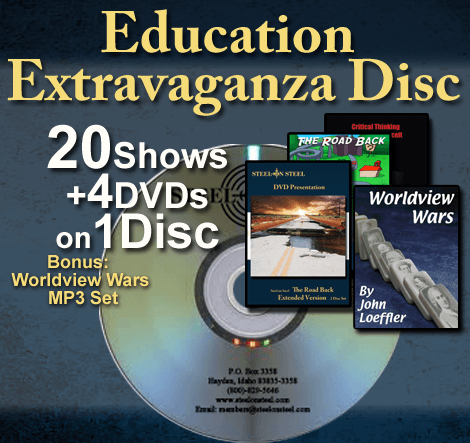 Education Extravaganza Disc – Over 32 Hours! 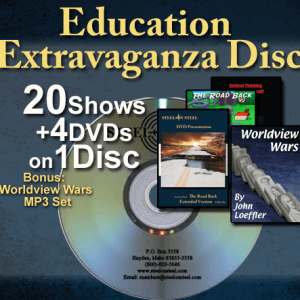 Get this special education set loaded onto a single DVD disc with just about everything we’ve ever done on education from Common Core to homeschooling. In this week’s Section 6, John gives a lesson in how to argue with someone logically point by point. Then, he reads a letter from a law professor to his students on how to think without political correctness. He also discusses Trump’s tactics in dealing with his opponents. Lastly, John reviews many of the climate change narrative problems amidst the current cold snap. Language and words are important in today’s political and theological debates, but leftists are looking to shut down debate by changing the definitions of words. In this week’s boralogue, John shows the devolution of free speech in Berkeley from the 1960s through today. We can allow people to speak as we do in a free society. We can ban all speech as they do in totalitarian countries. Or we pick and choose like we’re doing now. The Iran agreement in 2015 by the Obama administration has had problems from the outset. 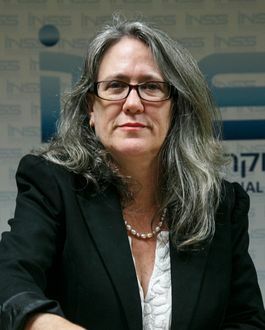 Emily Landau (www.inss.org.il), Senior Research Fellow at the Institute for National Security Studies in Israel examines the agreement’s shortcomings and how the United States will proceed with Iran under President Trump. Narratives by the Left and the media about Russian collusion with Donald Trump have turned out to be untrue. Cliff Kincaid (www.aim.org), Director of the Center for Investigative Journalism at Accuracy in Media joins us to discuss narrative spinning once wiretap allegations against Team Trump proved to be true and what’s really happening behind the scenes between Russia and the U.S.
Socialism has never succeeded at any time in history and current events in Venezuela are no exception. Marian Tupy (www.cato.org), Senior Policy Analyst at the Cato Institute, relates his experience growing up in Communist Czechoslovakia, explaining the realities of socialism, and warns us that the U.S. is walking down a dangerous path. 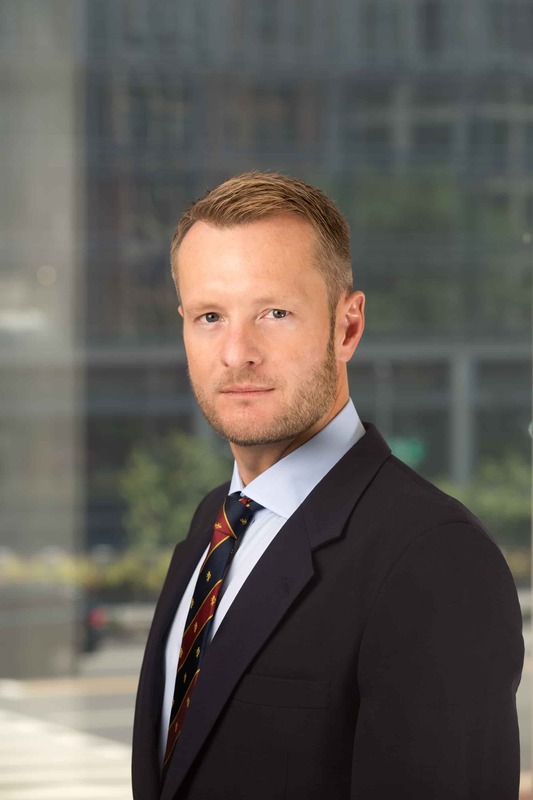 This week during our Section 6 Intelligence Briefing, John addresses the topic of freedom of speech as well as more coverage on the ‘Fake News’ phenomenon.